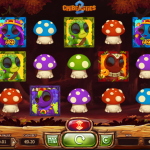 Once again we take a trip to a magical forest to meet with unusual creatures in Chibeasties 2 video slot game from Yggdrasil. This is a sequel of an already existing game, and from the first look it seems it is better than the original. There are 4 different universes you have to face and each one of them offers something new and never seen before. Chibeasties 2 is packed with special symbols and features. We have 4 wild symbols here and one scatter and each has a different role. 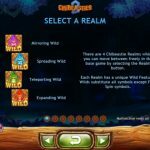 At any time you play the game you can choose one of the four realms, or modes in which the wilds act slightly different. We have Mirroring Realm, Spreading Realm, Teleporting Realm and Expanding Realm. And on top of that you can receive a Combo Wild which will add extra wilds on the reels too. 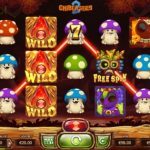 The scatter symbol activates the free spins, and if you land 3 scatters you will receive 10 free spins, for 4 scatters you will receive 15 free spins and for 5 scatters you will receive 30 free spins. The good news here is that the Combo Wild is guaranteed every time you land a wild. Chibeasties 2 is one heck of a game that really deserves your time. Yggdrasil did an amazing job when they created this game, because usually the sequels, no matter if it is a book, a movie or in our case an online slot are a miss. They never seem to capture the effect that they had on us in a better way. Well Chibeasties 2 is definitely an exception to the rule, and for that reason you should definitely try this game and trust us you will keep coming back for more. For another great engaging slot you should consider playing Cazino Zeppelin a 5 reel slot by Yggdrasil.